Mpps V.3.0.2.37 interface is the latest, reliable, simple to use interface. This is a USB chip tuning interface system. This will work with 3.0.02.37 version of the software. 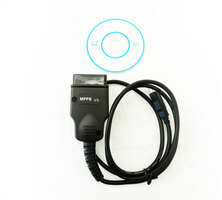 This interface will allow you to read and write memory of a vehicle computer through the diagnostic connector SMPS MPPS v3.0.2.37 tuning remap chip tuning can flasher. This is a must have tool for any serious tuner who has experienced may of the problems that can be en encountered while flashing ECUs.